This mini-review summarizes the main associations between physical activity and chronic diseases and discusses the basic concepts related to the role of genetic factors in studies evaluating the effects of physical activity/exercise therapy on chronic disease prevention/treatment during the life course. Many observational cohort studies have shown that high physical activity during young adulthood or middle age is associated with reduced later life morbidity, mobility limitations and mortality. Physical activity or exercise therapy has a positive effect on health via many disease-specific mechanisms. The most consistent finding of the various randomized controlled studies conducted to date is that aerobic/functional capacity and/or muscle strength can be improved by exercise training among patients with different chronic diseases. Genes are known to play a role in chronic disease predisposition and to contribute to physical fitness levels, physical activity participation and ageing. Physical fitness, physical activity and health outcomes may be partly due to underlying genetic factors that have a favourable effect on all these traits (genetic pleiotropy). This means that in observational studies, the relationship between baseline activity and the later occurrence of diseases may not be interpreted entirely as causal. Increased knowledge on the role of nuclear genome, mitochondrial genome, epigenetics, telomeres and regulation of gene expression will increase our understanding of their relationships with physical activity and morbidity. During the past few decades, much evidence has accumulated on the associations between physical activity/exercise and the occurrence of chronic diseases. Recently, our understanding on the interplay between physical activity, genes and health has also significantly increased. This mini-review summarizes the main associations between physical activity and chronic diseases and discusses the basic concepts related to the role of genetic factors in studies evaluating the effects of physical activity/exercise therapy on chronic disease prevention/treatment during the life course. Different studies investigating the relationships between physical activity/exercise and health have specific strengths and weaknesses according to their design (Table 1). For clinical purposes, we usually need to consider evidence from different types of studies. Evidence from observational follow-up studies is usually sufficient to give general advice to people to prevent chronic disease, but evidence from randomized controlled trials is a priority when using the resources of health care to rehabilitate individuals with specific chronic diseases . As many common chronic diseases related to sedentary lifestyles usually occur later in life, finding out how physical activity during childhood protects against chronic disease is problematic. Very long-term RCTs are not available, and longitudinal observational studies have known limitations, such as problems related to the evaluation of causality and controlling for different confounding factors. Thus, the majority of studies have only focused on the role of exercise in the development of cardiovascular, musculoskeletal and psychological risk factors. The normal growth-related changes make this research challenging. However, some important findings have been made among children and adolescents, which may have a significant role in the prevention of diseases and disability in later life, in particular when physical activity persists from childhood to adulthood. First, there is no doubt that exercise training increases muscular strength as well as aerobic fitness in children . Although increasing the physical activity of normal-weight youth usually has rather small effects on weight gain, RCTs have shown that physical activity decreases total body and visceral fatness, at least in obese children [3, 4]. Fatness is associated with unfavourable cardiovascular risk factors . Further, childhood has been shown to be an important period when bone development can be influenced by physical activity. Bone-loading physical activity increases bone mineral content and density [6, 7, 8]. There is also some evidence that physical activity may decrease depression [9, 10]. Among adults, many observational cohort studies have shown that high physical activity in young adulthood or middle age is associated with reduced occurrence of chronic disease, limitations in daily functioning and deaths in later life. For many chronic diseases, there is a dose–response relationship, suggesting causality between high physical activity and low morbidity and mortality . Physical activity or exercise therapy can have a positive effect on health via many disease-specific mechanisms (Fig. 1). The most consistent finding of the various randomized controlled trials conducted to date is that aerobic/functional capacity and/or muscle strength can be improved by exercise training among patients with different chronic diseases . This is important as the proportion of older people is increasing and exercise therapy may be an important means to reduce disability and increase the numbers of those able to live independently in the community. The finding that aerobic exercise training consistently increases physical performance capacity and maximal oxygen uptake in patients with chronic diseases is important as observational studies have shown that low aerobic fitness is an important risk factor for mortality in this population segment , as it has been shown among apparently healthy people . Besides fitness, other cardio-metabolic risk factors have also been found to improve during exercise therapy trials among high-risk or chronically ill individuals. Of particular importance is the finding from randomized controlled trials showing that exercise reduces visceral fat . This is found even in the absence of changes in total body weight, as skeletal muscle mass often increases as a consequence of exercise training. When compared to pharmacological therapy, exercise usually has positive effects via many different mechanisms (Fig. 1), although pharmacological treatment targeted at a specific parameter may have an effect size as high, if not higher. The possible overall strong health benefit of exercise therapy in the prevention and treatment of a disease seems to be the sum effect of long-term exercise mediated via different mechanisms. There is limited evidence from very long-term follow-up studies on the associations between baseline physical activity at a young age and health in later life. 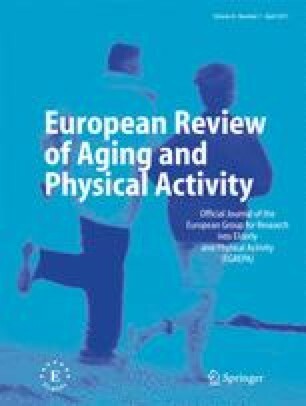 One exception is the study on Finnish former elite athletes (with a maximum follow-up time of 90 years) which has shown that both participation in endurance sports as young adult and later physical activity independently predict lower morbidity in the later years of life (for a review see Kujala et al. ). These athletes had lower need of hospital care in later life compared to controls who were in good health at a younger age. Also, the need of hospital care during the last year of life was reduced among those with a high physical activity level in middle age . As all observational population follow-ups, this study also may include a genetic selection bias (the same genetic factors may predispose individuals to high fitness and low risk of chronic disease; for more details, see later) although the documentation on the long-term exercise history of former athletes can be regarded as rather reliable. One way, at least in part, to tackle the genetic selection bias in long-term studies is to investigate twin pairs discordant for physical activity. For example, one such study with a 28-year follow-up found evidence for the long-term benefits of physical activity vs. inactivity in the prevention or delaying of type 2 diabetes onset . Among older people, in addition to preventing chronic diseases, the effects of physical activity on daily function become increasingly important (see von Bonsdorff and Rantanen in this issue). It has been shown that physical activity has an important role in the prevention of sarcopenia and osteopenia and in increasing maximal oxygen uptake, muscle strength, and balance in older people. To gain all these benefits, different types of training including aerobic, strength and balance training are recommended for older people . Interestingly, evidence is also accumulating from both human and animal experiments to support the notion that physical activity is associated with improved cognitive function and that exercise training can improve many aspects of cognitive function . On the one hand, RCTs with older people suggest that physical activity has beneficial effects among people with neurodegenerative disease  and depression . Some animal experiments in turn show that it is likely that exercise-induced molecular and cellular changes explain improvements in cognitive function . Genes are known to play a role in chronic disease predisposition as well as contribute to physical fitness levels, physical activity participation and ageing. DNA sequence-level differences have been thought to be responsible for constant predisposition to chronic diseases and physical activity during life course. However, it is now known that the influence of the same sequence-level genetic variants on phenotype may differ by environment and by age. Gene–exercise interaction refers to a situation where the response or the adaptation to exercise is conditional on the individual's genotype. Also, studies in epigenetics suggest that changes in gene expression caused by mechanisms other than changes in the underlying DNA sequence may be inherited . These changes may remain through cell divisions and thus may be transferred down to succeeding generations. The term ‘epigenetics’ does not have a simple uniform determination, but can be described as the structural adaptations of chromosomal regions so as to register, signal or perpetuate altered activity states . An interesting new area of research is telomeres, which are DNA–protein complexes capping chromosomal ends. At cellular divisions, telomeres tend to shorten if not properly counteracted by telomerase. Further, shortening of telomeres seems to be associated with biological ‘ageing’ phenomena. Telomere shortening may be associated with physical inactivity and chronic diseases . Genetic influences play an important role in explaining individual differences in exercise participation and leisure time physical activity [23, 24, 25]. However, knowledge on the genes and DNA sequence variants that contribute to the genetic variance in physical activity or physical fitness is scarce [26, 27]. Pleiotropy occurs when a single gene influences more than one phenotypic trait at the same time. The mechanism may be that the gene codes for a product that is, for example, used by various cells, or has a signaling function with respect to various targets. Regular exercise behavior and health outcomes may be partly due to underlying genetic factors that have a favourable effect on both traits [14, 28, 29]. This explains why some of the associations between baseline physical activity and future occurrence of disease seen in observational studies may be due to genetic pleiotropy (see Fig. 2). Some studies have tried to tackle this problem in a longitudinal design by observing the associations between changes in physical activity and future health. However, this design is also problematic as individuals in undiagnosed pre-disease states may reduce their activity, while healthy ones embark on vigorous activity. Physical activity may also have an effect on the associations between genetic polymorphisms and phenotypes: for example, there is accumulating evidence in that increased physical activity reduces the genetic variance of some cardio-metabolic risk factors [30, 31, 32, 33, 34]. This phenomenon is clarified in Fig. 3. The attenuation of genetic predisposition to cardio-metabolic risk by physical activity is good news for high-risk individuals. In addition, our understanding on the factors related to gene expression, including the whole pathway from DNA sequence to proteins is increasing rapidly; this in turn will increase understanding of the interplay between genes, physical activity and health, and of the possible changing role during the life course of the effects and meaning of different genetic variations. Most of the genetic studies so far have focused on genes encoded by the nuclear genome. We need more large-scale studies on common and uncommon nuclear genome variants associated with both physical activity and chronic diseases, but also studies on mitochondrial genes as they may be related to aerobic fitness and metabolic disease development . Not only the level of physical activity or cardio-metabolic risk factor levels but also responsiveness to exercise training is regulated by genes. Among other variables, this has been shown for physical fitness  and insulin sensitivity . In future, understanding the biological basis of variation in responsiveness to exercise may help us to tailor optimal individualized prevention and treatment strategies. The first findings on molecular predictors of responsiveness to exercise training have already been published . A phenotype characterized by high physical activity and high aerobic fitness is a strong predictor of low cardio-metabolic morbidity and mortality. This is a result of complex molecular networks responding to genetic and environmental factors during the life course . Our understanding of genetics, the effects of exercise and their interactions is accumulating rapidly. In addition to clarifying these relationships using different modern approaches, there is a continuous need to carry out large-scale long-term randomized controlled trials testing the effects of exercise on different outcomes. Differences in the determinants and potential to respond to exercise training by age should also be studied more. Overall, a life-long physically active lifestyle seems to bestow the highest health benefits.